Austin Civic Orchestra presents The Russians are Coming! 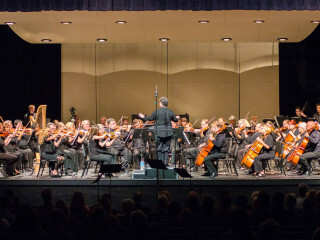 Each year the Austin Civic Orchestra travels north to Georgetown to perform in Southwestern University's Alma Thomas Theater. This year's concert, The Russians are Coming!, will include numbers from Khachaturian, Tchaikovsky and Shostakovich with special guest cellist Hai Zheng. $12 for adults; $10 for military, seniors and college students: Admission is free for high school students and under.